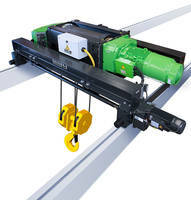 Designed to fit virtually all CM electric and air chain hoists with capacities up to 3 tons, CM Universal Trolley comes in plain and geared models that can be adjusted to fit most beam flange widths. 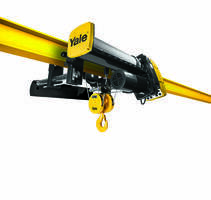 Plain trolley allows for manual positioning of hoist and load, while geared trolley is suited for applications requiring precise positioning. In addition to wrap-around side plates, CE compliant trolley has dual tread wheels with permanently lubricated shielded ball bearings. 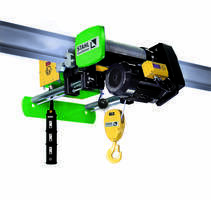 AMHERST, N.Y., – Columbus McKinnon Corporation (NASDAQ:CMCO), a leading designer, manufacturer and marketer of material handling products is proud to present its Universal Trolley (UT) designed to fit virtually all Columbus McKinnon electric and air chain hoists up to 3 ton capacities. The CM Universal Trolley is competitively priced, designed for maximum versatility, provides long service life, and is CE compliant for global appeal. 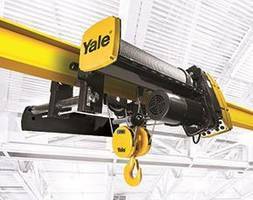 Because it can be used with a wide range of hoists, it will reduce the need to have multiple types of trolleys in inventory, thus alleviating stock constraints at distributorships. 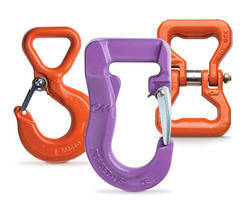 Its flexible design allows the UT to be easily converted from a push to a hand-geared trolley configuration. For more product details and specification information, please check out www.cmworks.com/CMUniversalTrolley. 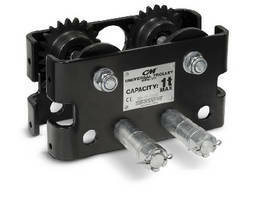 The Universal Trolley is a great addition to an already expansive Columbus McKinnon line of Trolleys and Beam Clamps. To learn more about the products and services offered and to find a list of distributors, please contact customer service at 1-800-888-0985 or go to www.cmworks.com. Columbus McKinnon is a global leader in the material handling industry, supplying products and systems that efficiently and ergonomically move, lift, position or secure materials. 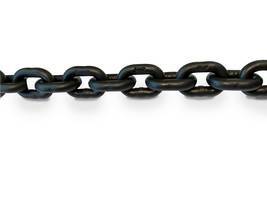 Key products include hoists, cranes, actuators, chain and forged attachments. The Company is focused on commercial and industrial applications that require the safety and quality provided by its superior design and engineering know-how. Comprehensive information on Columbus McKinnon is available on its web site at http://www.cmworks.com.